I know it sounds obvious, but sometimes, I think we all forget. When we hear a song or album we love, we want that feeling over and over for the rest of the artist’s career; we begin to “chase” it. Especially in today’s social media-dominated climate, we judge each album instantaneously based on that feeling instead of stepping back to see them as part of a whole career. The only thing is, artists don’t exist in a vacuum. Like everyone else, they grow and change and to expect them to sound the same each and every time is both unrealistic and unproductive in an industry where you must adapt to survive. I, myself, have tried to be more conscious of not rushing to judge and compare, but sometimes it takes a reminder. 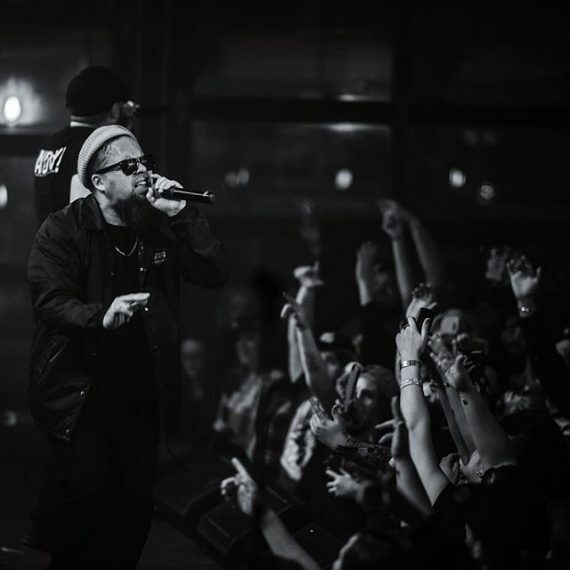 With ¡MAYDAY!’s Search Party on the horizon, Bernz put it back into perspective. Closed many chapters on This latest ¡MAYDAY! Album. Listening back to it takes me to a very personal place. Asking ¡MAYDAY! to recreate your favorite song, or album from their past isn’t possible. They’ve grown, changed, released solo projects, lost collaborators and gained some new ones. As fans we have to open our minds and ears to let artists grow, change and experiment; Often, that’s where the best music comes from. While a lot has changed for ¡MAYDAY!, but their commitment to experimentation and risk taking is a constant. Combine that with how personal this album feels to them–the personal is always the most meaningful–and you’d be hard pressed to ask for anything else from ¡MAYDAY.